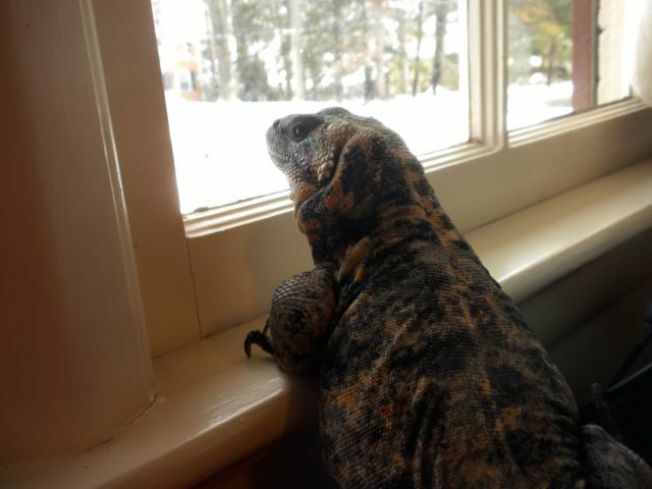 We didn't quite have a blizzard, but at least we have a lizard. A viewer contacted us today about Wally the Chuckwalla, a four-year-old San Esteban Chuckwalla. "We have lost power here in Bethesda, but luckily this time our generator is working, unlike Snowmageddon," Nancy Becker wrote. "Last year we were keeping him warm with hot water bottles until we were rescued." Now, of course, their cold-blooded companion can perch in relative warmth. "Wally has decided not to go sledding later this afternoon," Becker wrote.